Let the good times roll! 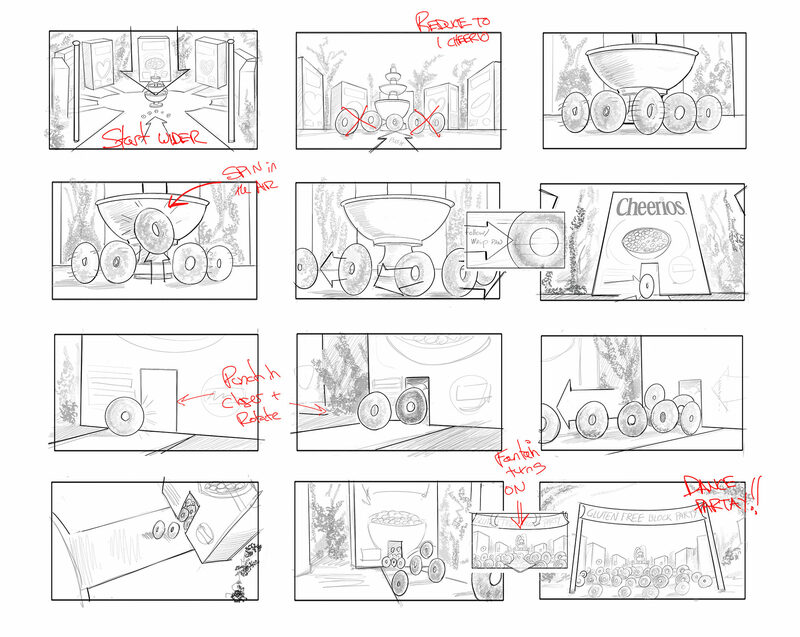 When the fine folks over at General Mills and Cheerios approached us to help create a fleet of original content for their ongoing Good Goes ‘Round campaign, we jumped at the opportunity to help spread a little goodness. The brief was simple: Summer. Families. Fun. 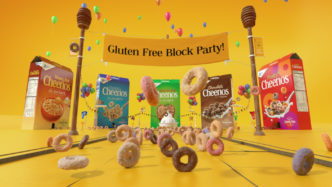 The General Mills team really let us get creative and go wild, while still trusting us to deliver top-notch, multi-platform content that would slide seamlessly into their campaign. Brief in hand, we rolled up our sleeves, bought every box of Cheerios we could find at the grocery store ‘round the corner, and dug in… literally. The first order of business was finding the right setting for the broadcast and social content. 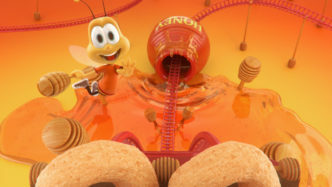 ‘Rounds of script and concept development netted us three distinct settings that each spoke to their own audience: an amusement park for kids, a national park for parents, and a neighborhood cul de sac to celebrate the diversity of Cheerios flavors. Each setting required it’s own creative approach that could extend in different ways from broadcast to social, so we set to work exploring the unique stories for each spot. The amusement park transformed into a wild rollercoaster ride featuring everybody’s favorite bumble bee, Buzz. The national park evolved into an early AM family hike to watch a Cheerios sunrise, while the cul de sac filled in with a fun-for-all Gluten Free Block Party. BUT, DO CHEERIOS HAVE EYES? You’d be surprised how often we asked ourselves that very question. So, armed with that and a thousand other creative curiosities, we started developing storyboards for each of the broadcast and social spots, ensuring we had a well-defined story and visual narrative before diving into animation. With concept art and storyboards in hand, we began blocking out each scene and building a library of original assets to populate our worlds. The fully CG spots called for a dedicated team for each, starting first with the broadcast builds and transitioning seamlessly into social. 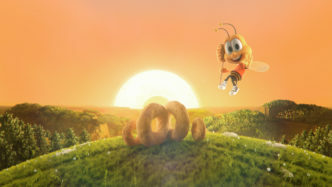 Unique Cheerios were built for every flavor, and even Buzz got some much needed love – and fuzz. Our final broadcast spots were paired with a set of brand new End Graphics and were delivered for both English and Spanish audiences. Working with the fantastic team over at Squeak E Clean, each spot features custom music and sound effects to help bring the finished products to life. Running in sync with the broadcast spots, our social content expanded the summer fun while platform-specific adjustments ensured the Good continued to Go ‘Round regardless of how audiences discovered the creative.